During a ship’s lifetime, one of the most overlooked aspects is the issue of the paints used to coat and protect the vessel’s hull. 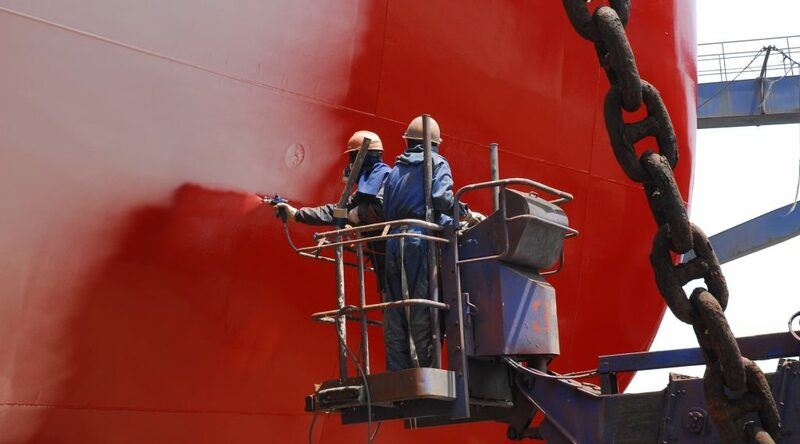 A good paint won’t just make the vessel look desirable, but depending on the type, will keep away rust, corrosion and other sea hazards that a ship owner has to take into account with every voyage. To that end, we provide a selection of CHUGOKU paints that will suit any need you may have. Anti-fouling coating is a type of specialized paint that is applied to the outermost layer of a ship’s hull in order to protect it from corrosion or sub-aquatic organisms that may weaken the hull over time and degrade the performance of the vessel, increasing operating costs. Newer types of Anti-fouling coatings can also improve the water flow around the hull, improving vessel performance. For further inquiries and orders please contact office@fairspirit.ro and we will get back to you in the shortest time possible.